Throttled with a deep passion for old school craftsmanship, vintage motorcycles, hand-roasted coffee, craft beer and quality goods – The Spoken Moto brand was born. 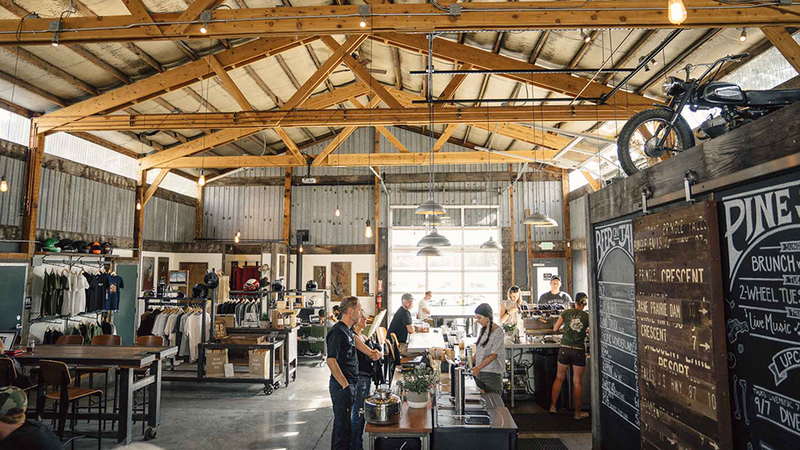 Our headquarters in Bend, Oregon is housed in what was previously an old, forgotten mechanic’s shop known in it’s day as the “Pine Shed” in the Old Mill/Box Factory area. Our brand and space is a reflection of our vision. Reclaim, restore, to bring new life, beauty and purpose to what was forgotten.